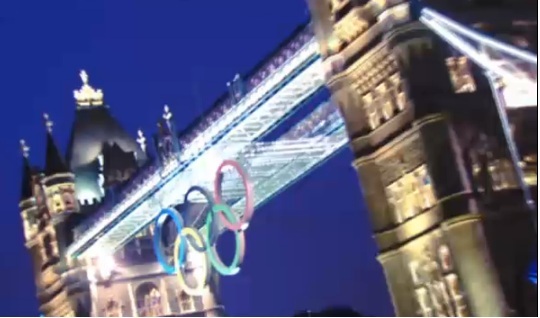 politicalbetting.com » Blog Archive » How will the Olympics affect the Independence debate? « Could Osborne’s scalp be the price of the coalition continuing? How will the Olympics affect the Independence debate? Does a successful Team GB underline â€˜weâ€™re stronger togetherâ€™? PB reported earlier this week on a Comres poll which reported an upsurge in support for the Olympics now theyâ€™re underway (and taken before Britain started winning golds). It also reported on a YouGov poll which recorded a slight firming-up north of the border of opposition to independence, where more than half support the maintenance of the union, against less than a third favouring independence – an increase in the gap of 4% since the start of the year. Are the two connected and if so, does it matter? It would be surprising if there werenâ€™t some effect at the margins; whether it will last long after the Games is another matter. The profusion of union flags in the coverage on the televisions and in the papers, and the overall success of the team may produce a feel-good factor towards that which the team represents. On the other hand, itâ€™s more than two years to Alex Salmondâ€™s preferred date for the poll and much will happen between now and then. If there is any effect, one other event of some significance to take place between now and Autumn 2014 is the Commonwealth Games, to be held in Glasgow in two yearsâ€™ time. If the London Olympics have celebrated Britishness, then a successful Glasgow Games will be no small thing in the armoury of those who wish to see Scotland go its own way. At one level, the independence debate is tied to hard things such as whether people believe theyâ€™ll be better off in the Union or outside it. The polling of hypothetical scenarios shows that, and thereâ€™s quite a strong link between the SNPâ€™s successes at the ballot box and anticipated income from North Sea oil. On another, itâ€™s an emotional call and a question of identity and affinity. Sport can and does play a big part there but itâ€™s also easily possible to overstate the significance. For one weekend later this year, many British sports fans will become European as the continentâ€™s best golfers take on those from the US. The many blue and yellow flags that will be waved shouldnâ€™t however be a cause for Eurosceptic concern. That said, nor is it entirely irrelevant. Scottish club football is undoubtedly suffering from having a small and not very marketable league, something which may be feeding through to the national side. Coincidently, Scotland has failed to reach a World Cup or European Championship finals since devolution came into being in 1999. By contrast, both the menâ€™s and womenâ€™s Great Britain Olympic teams have reached the knock-out stages of their tournaments, something no Scottish team has ever managed. There is strength – and a degree of success – in unity. The effect on the polls is likely to be short-lived. Feel-good factors wear off, especially at a time of austerity, and there are many other factors than sport which will affect the independence debate, quite a lot of them more significantly. What may have more of a lasting impact is the use the two sides choose to make of the imagery and issues of identity thrown up from these Games, and those of 2014 to come.